This entry was posted on January 15, 2019 by Chris Elliott. It is a type of hardwood floor that has a tongue and groove (T&G) fitting system. Each plank of wooden flooring has one long and one short edge with a tongue and one long and one short edge with a groove. You would simply fit the tongues and grooves together for a tight and snug fit. 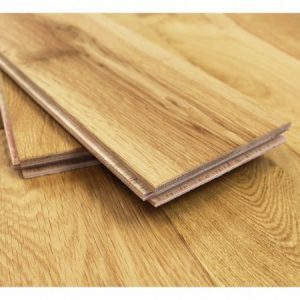 You will be able to find T&G flooring in both engineered and solid wood formats. 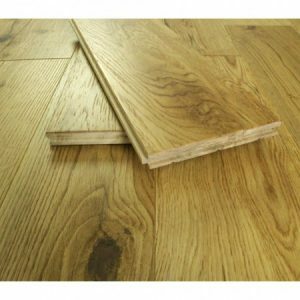 There are also many styles of T&G flooring to choose from. This would include, different species of wood, colour stain options, different surface finishes and choices between plank widths, lengths and thicknesses. How do I install tongue and groove flooring? This will usually depend on which type of flooring you have and your existing subfloor. Engineered tongue and groove flooring can be floated over an underlay. This is probably the easiest way to lay the flooring. It requires the least amount of equipment. You can also choose to fix engineered T&G flooring to the subfloor with a flexible flooring adhesive or nails. If you have solid T&G flooring, then you must fix it to the subfloor. You can either glue the planks of flooring down, or secret screw or nail them into place. You cannot float solid wood flooring. If you have joists. Then you will need T&G flooring at least 18mm in thickness. You will then need to run the planks perpendicular to the joists and use secret nails or screws to secure them into place. For more advice on fitting your hardwood floor, see our Fitting and Installation Guide. What are the benefits of tongue and groove flooring? Also, you can choose to either float T&G flooring over an underlay (engineered only) or fix it into position. You will find T&G flooring easy to look after. It is hygienic and requires little maintenance.